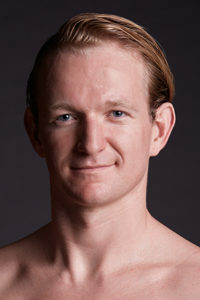 experienced on stage.” After his promotion to Principal Dancer he has had the privilege of dancing Prince Desire in The Sleeping Beauty and Jay Gatsby in Toni Pimble’s ballet based on the American classic novel among other roles. Mark continues to guest throughout the Northwest and at his home school, Ballet Hawaii, where this past summer he had the honor of dancing the Waltz Boy in George Balanchine’s Serenade. He looks forward to the challenge and excitement that the 2018-2019 season will bring.